Dr. Paul Wiget is an assistant professor of chemistry at Samford University in Birmingham, Alabama. 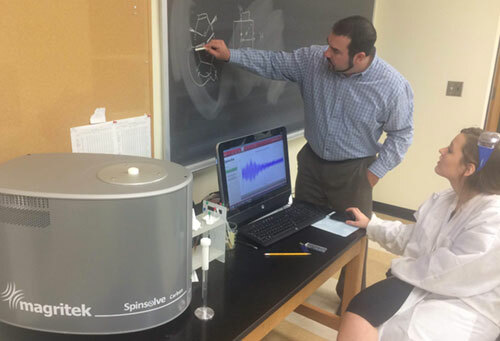 He chose the Spinsolve Carbon benchtop NMR spectrometer to support both his research work and for teaching. For Dr. Wiget the ability to perform 13C, DEPT, HSQC, HMBC experiments was most important. He also saw the scripting function as extraordinarily helpful as it would enable the running of a HSQC experiment and followed by an HMBC routine allowing extraction from the 13C data overnight even when measuring dilute samples.